Arts Journal often links to interesting articles on languages, especially vanishing ones. In Alaska, there are actually several native languages that are endangered. The Sealaska Heritage Institute has been tackling one of them and is starting to add more. Wesley Yiin wrote about the effort at Pacific Standard. “According to a 2007 study by linguist Michael E. Krauss of the University of Alaska, Fairbanks, only three of the 20 recognized Alaska Native languages have more than 1,000 native speakers. (Compare that figure to the most commonly spoken Native language in America, Navajo, which has 170,000 native speakers.) Several are extinct or close to it: The last native speaker of the Eyak language died in 2008, as did Holikachuk’s last fluent speaker, in 2012. Katrina Hotch is the language project coordinator for Sealaska Heritage. Here are some of her comments on the work. “Passion is contagious, and if people are hearing people who are passionate about the language, then it draws them in more.” Click here for the whole interview with Hotch. The one thing about the interview that struck me as discouraging was that Hotch herself has been studying Tlingit for years and doesn’t feel fluent. A whole different worldview is involved, she says. That tells me that the initiative is best focused on helping children who grow up in the culture to keep it going. There are not likely to be many brand-new adult speakers. 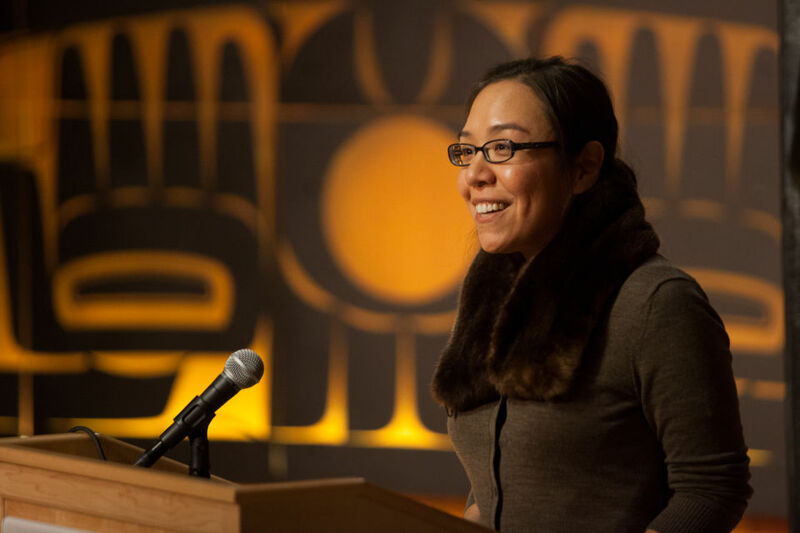 Katrina Hotch’s podcast is a first step in preserving a Native Alaskan language called Tlingit.